Our facilitator is Deacon Frank Elchert. He is an ordained Catholic Deacon and holds a Masters Degree from the University of Pennsylvania. 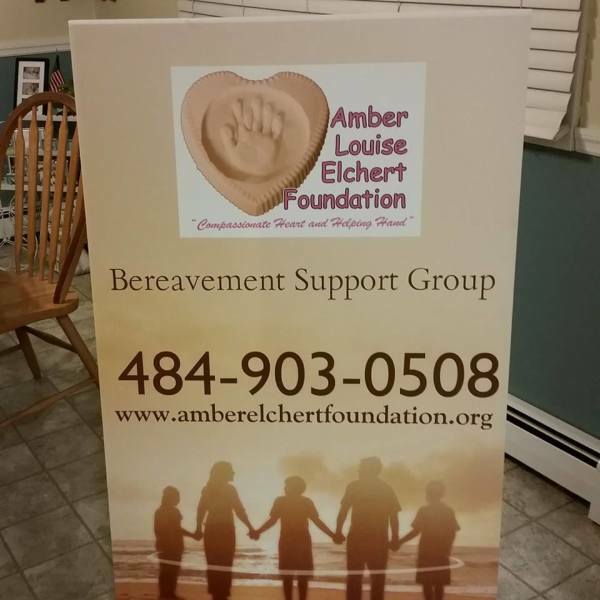 He is the founder and President of the Amber Louise Elchert Foundation. He has suffered the loss of both parents and his daughter Amber all within 22 months. He supports critically ill children and their families across the US. He is an avid speaker and an empathetic ear to those who are grieving. Our support program is Christian-based and meets weekly for 13 weeks. We utilize the GriefShare program which has three key components. Grief can be the most difficult journey you will travel in your life. However, you are not alone. Everyone will eventually experience the loss of a loved one whether it is a sudden death or after a long battle. Death does not discriminate, it will impact us all. After the funeral most of the people around you return to their normal lives but your grief continues and you feel alone. There is no magic pill to make the pain go away and it takes time and it is hard work. There is a path forward and it begins with getting the proper support needed to begin the healing process. Come join us and learn from those who have already walked the journey of grief and turn your mourning into joy again.